With Bala Lake looking especially blue under a sparkling clear sky, 0-4-0ST 780 Alice approaches Pentrepiod Halt on 30 May 2016 with the 11:00 Llanuwchllyn to Bala service. 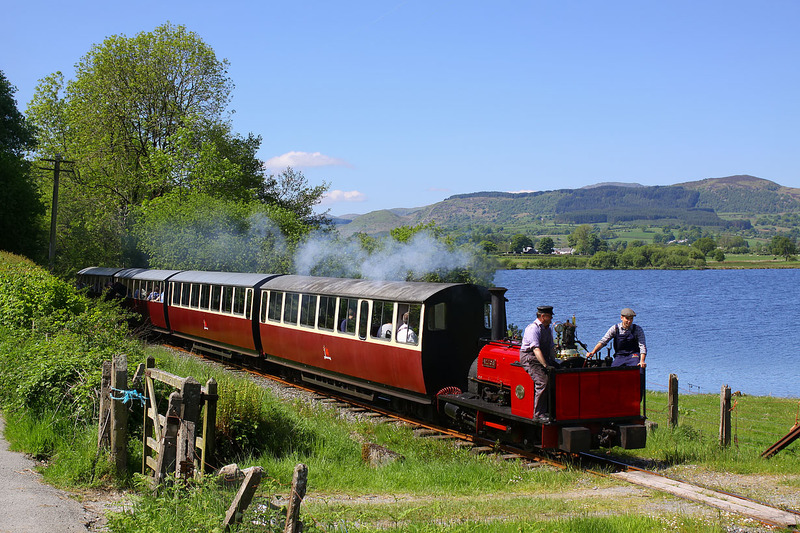 The Bala Lake Railway was staging their 'Festival of Transport', with various vintage vehicles on display at Llanuwchllyn, along with an enhanced train service. The crossing in the foreground gives access to a lakeside campsite.